CATCH THE BUZZ – USDA Says It Will Deliver On Trump Request For 5% Spending Cut, But From Where? Under orders from President Trump to cut spending by 5 percent, the USDA may try to slash the taxpayer-subsidized crop insurance program, eliminate a green-payment program, or take an ax to its research agencies, if recent proposals are any indication. Crop insurance has been a target every time Trump has sent a budget package to Congress. “USDA stands with the president and his goal of being fiscally responsible with taxpayer dollars and will absolutely meet his target,” said a spokesman. 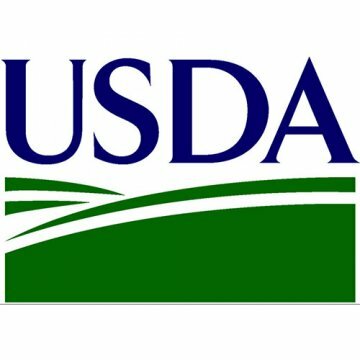 “When Secretary [Sonny] Perdue was governor of Georgia, five of the eight budgets he submitted were smaller than the previous year’s.” The spokesman did not respond to a question about where cuts would be made at the USDA. The budget-writing process for next year is already well underway across the federal government. In the past, Thanksgiving has coincided with the White House “pass back,” often with directions for alterations, of agencies’ first-round proposals for outlays in the fiscal year that will not begin for 10 months. The White House typically unveils its budget proposal soon after the annual State of the Union speech. “It sounds like a replay of the levels proposed this past spring and the year before that, and I suspect many of the proposals will look familiar — cuts to agricultural research, cuts to rural business development, cuts to nutrition, and cuts to conservation even while they are spending $12 billion to make up for the tariff war they started, and even while the farm bill languishes due solely to the intransigence of the House GOP leadership and the White House,” said Ferd Hoefner of the National Sustainable Agriculture Coalition, a small-farm advocate. The budget package released last spring included the ill-fated “America’s Harvest Box” for SNAP recipients, a 33-percent cut in spending on crop insurance, elimination of the USDA’s first green-payment program for land stewardship, elimination of the Rural Business and Cooperative Service, and large cuts in the Economic Research Service and the Agricultural Research Service. Lawmakers turned their backs on the ideas. The Harvest Box was hooted down despite Perdue’s argument that it was “a bold, innovative approach to providing nutritious food” to the poor while costing less — an estimated $129 billion over a decade. Under the Harvest Box idea, some 80 percent of SNAP recipients would have received half of their benefits in a monthly box of dry, processed, and canned foods. The administration also proposed changes in SNAP eligibility that one think tank estimated would cut enrollment by 10 percent. Other ways to modify SNAP are on the USDA’s agenda. In a White House document, the department said on Wednesday that it is working on regulations to tighten so-called categorical eligibility for food stamps and to constrain states’ use of waivers that allow able-bodied adults aged 18 to 49 and without dependents to receive food stamps for more than the usual limit of 90 days in a three-year period. SNAP work requirements and eligibility rules are major disputes in House-Senate negotiations over the 2018 farm bill. The GOP-written House farm bill would require an estimated 7 million “work-capable” adults aged 18 to 59, including those with children over age 6, to work at least 20 hours a week or spend equivalent time in job training or workfare to qualify for food stamps. Last February, a White House proposal on crop insurance called for cutting the premium subsidy by 15 percentage points for policies with the Harvest Price Option, the most popular type of coverage, and for cutting the subsidy for other policies by 10 points. Cuts to catastrophic coverage were not included in the proposal. The government pays 62 cents of each $1 in crop insurance premiums in addition to sharing the burden of severe crop losses with insurers. Crop insurance is the largest strand in the farm safety net and is a frequent target of farm policy reformers, budget hawks, and farm activists as well as presidents of both parties. The program is popular in farm country and would escape major changes in the 2018 farm bill.